Jill T. Sandhaas brings substantial experience to Shenker Russo & Clark LLP advising clients in all types of government affairs, legal transactions, as well as regulatory and compliance matters. With more than three decades of advocacy and legislative experience, Jill Sandhaas is an experienced lawyer who represents a number of different clients on a host of issues before the legislature, executive branch and New York state governmental agencies. 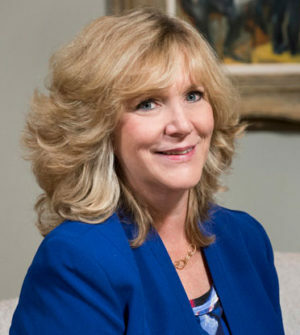 Over the course of her career, Jill has advanced the policy agendas of a diverse group of corporate and association clients and has developed deep and substantive experience in a variety of industries including, banking and financial services, higher education, health care, and energy. Jill works with clients on both proactive and defensive policy-based approaches that resolve problems. A highly respected advocate in the state capital, Jill has been on the cutting edge of major policy decisions and legislative initiatives, including the recently enacted Corporate Tax Reform for New York State and New York City. Prior to joining the firm, Jill worked with an international law firm in their Government Affairs practice area. Prior to that, she served as counsel to the chairman of the New York State Senate Health Committee, and as an advance representative for former First Lady Barbara Bush on both domestic and foreign travel. Jill has built a network of professional contacts at the local, state and federal levels of government. These relationships and her experience with the legislative process have enabled her to build a successful practice assisting the firm’s clients in legal, lobbying, appropriations and regulatory matters.